Structural steel fabrication for light, medium, and heavy steel structures, hand rails, ladders with cages, custom platforms for various structures. We fabricate all types of metals including carbon steel, stainless steel, and aluminum. Structural steel and piping fabrication is self-performed by union pipefitters and ironworkers. All welding is performed by certified welders. 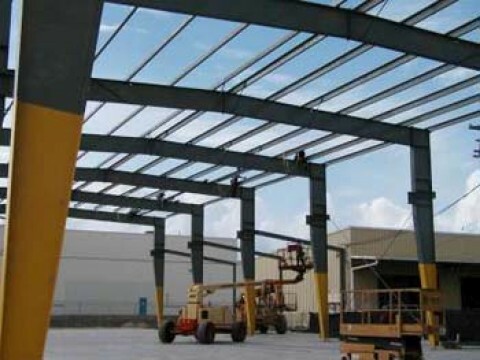 APB is a local dealer for American Steel Buildings, manufacturer of pre-engineered metal building structures. We can provide design-build or design-bid-build projects for any size pre-engineered steel building. Our field crews perform the structural steel installation with self-owned equipment (scissors lifts, man lifts, boom trucks and cranes from 18-ton to 300-ton capacity), providing continuity of structural installation work without having to rely on rental equipment.